There is a high demand in Asia for pangolin scales for use in traditional medicine, despite there being no medical benefit from their use. 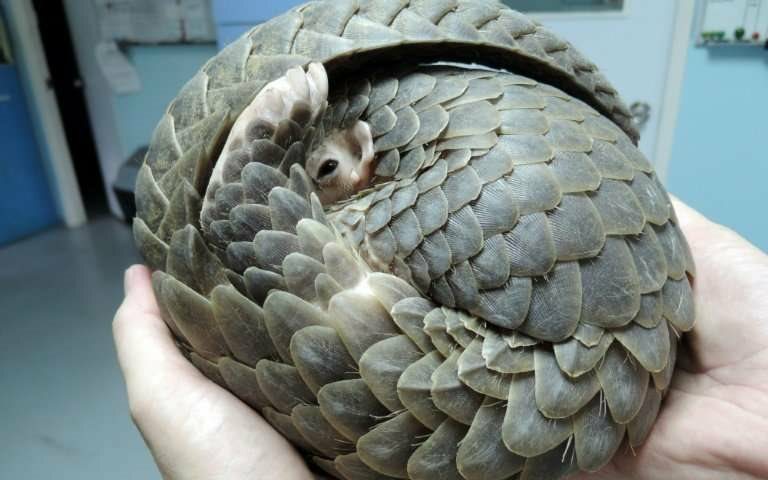 The pangolin is believed to be the world’s most trafficked mammal. INTERNATIONAL NEWS – The authorities in Singapore seized 12.9 tons of pangolin scales worth more than $52 million from a container at Pasir Panjang Export Inspection Station in the biggest single haul in the world in recent years, The Straits Times reported recently. The scales originated from Nigeria and were bound for Vietnam. They were found packed in 230 bags among packets of frozen beef, and declared to contain “frozen beef”. Along with the pangolin scales, 177kg of cut up and carved elephant ivory worth $120,000 were also seized during the inspection. Singapore Customs and the National Parks Board (NParks), which staged the joint operation that led to the haul, said the scales are likely from 17 000 pangolins, taking into account the weight of the various species. The four species native to Africa are the Giant Ground Pangolin (smutsia gigantea), the Black Bellied Tree Pangolin (phataginus tetradactyla), the Ground Pangolin (smutsia temminckii) and the White Bellied Tree Pangolin (phataginus tricuspis). The previous biggest haul on record was in China in 2017, where nearly 12 tonnes of scales were seized. NParks said it intercepted shipping of pangolin scales in Singapore in 2015 and 2016 as well. Read the full article here on the Caxton publication, Alberton Record.